Gua Sha is another technique used to release muscle tension, tightness and constriction. 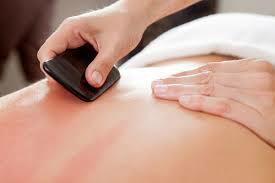 A specialized tool is used to gently scrape or rub the skin over a problem area. Gua Sha feels like deep massage. It leaves some slight redness that will quickly dissipate. Electrical stimulation is another technique used to deal with chronic pain. A brief electrical pulse is applied to nerve endings just under the skin has been shown to work with some chronic pain sufferers. This technique is referred to as Transcutaneous electrical nerve stimulation(TENS) and is typically preformed around where the pain occurs. The frequency of the electrical pulse and the voltage used are very important. Helping to generate various beneficial biochemical stimuli that the body may lack due to illness or injury. Accelerating the decomposition of injured structures, such as bad cells. 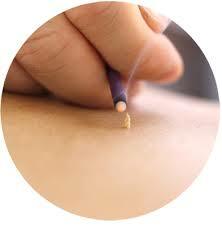 Enhancing the body's function of adjustment and immunity. With its relaxing, warm temperature, the TDP lamp is very effective for temporary relief of minor muscular and joint pain and improvement of local, superficial blood circulation.